Approximately 10 years ago, Chrysler Group donated a number of Dodge Viper vehicles to various trade schools for educational purposes. As part of the donation process, it is standard procedure -- and stipulated in our agreements -- that whenever vehicles are donated to institutions for education purposes that they are to be destroyed when they are no longer needed for their intended educational purposes. With advancements in automotive technology over the past decade, it is unlikely that these vehicles offer any educational value to students. Chrysler Group fully understands and appreciates the historical significance of the Viper and is very active in preserving many of its legendary models and designs for historic purposes however, none of these vehicles fit into this category. Headquartered in Auburn Hills, Mich., Chrysler Group’s product lineup features some of the world's most recognizable vehicles, including the Chrysler 300 and Town & Country, Jeep Grand Cherokee, Dodge Dart, Ram 1500, SRT Viper and Fiat 500. Fiat contributes world-class technology, platforms and powertrains for small- and medium-size cars, allowing Chrysler Group to offer an expanded product line including environmentally friendly vehicles. To bad the cars can't be bought for road and track racing, drag racing or something along the lines of that but they have to do that they have to do. Is a Hellcat Powered Ram Rebel in the Works? 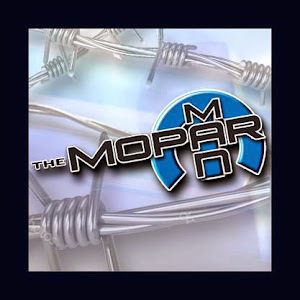 The Mopar Man. Picture Window theme. Powered by Blogger.